In the third episode of the Knowledge, Shane Parrish talks to Professor Sanjay Bakshi on reading, mental models, worldly wisdom, checklists and investing. The interview starts with a conversation about Professor Bakshi’s reading habits, and how the way he reads has changed, from reading physical books to now reading most books on his Kindle device. To listen to the interview, click here. To read the transcript, click on the image below or here. Transcripts are provided for all podcast interviews, and available via signing up for a membership over at Farnam Street. This particular transcript was made available to Professor Bakhi’s readers for free to download via his blog Fundoo Professor. I appreciate that. I definitely have— my bookshelves are starting to overflow, so it’s getting to be a bit of a problem. Actually let’s talk about the Kindle vs the physical book. What do you prefer and why? And how do you use that? Well, I used to prefer the original one, of course, because you can underline; you love the smell of the paper; and you have nostalgic associations with the physical book, which looks like you have read it, which you lose when you do it on a Kindle. But over time, I realised that these are prejudices that should be let go of, because there are other things that are possible with the Kindle, which are not possible with the physical book. And for me, as a professor, it really helps me to be able to know that I’ve read this somewhere. The kind of associations that occur in memory as you experience something – you know that you have read about this particular aspect in some book, but you don’t know which one. And if this was all with physical books, you would go crazy looking for that book. But if you just do a search for a term across all your books in your Kindle library, it comes up in a flash. And the interesting thing is that you sometimes discover things that you didn’t know existed – the serendipitous discovery of wonderful words of wisdom about a certain topic in your Kindle library is amazing, and when that happens, I have my eureka moments. And the other reason I love Kindle is that you can underline stuff and write your own notes, and they get synced to the cloud, and once they’re in the cloud you can copy and paste, and use them for your lectures. It’s very helpful, so I’m very grateful to Amazon. And of course it’s environmentally friendly: you don’t have to waste paper. Do you read exclusively on the Kindle now? Yes, I like to but only for books. Of course there are annual reports, and there is a lot of wisdom in annual reports of businesses that I like to study, and those you don’t get on Kindle. I don’t like reading on computer monitors – it’s very strenuous to the eye. Kindle, therefore, is much better because it doesn’t have any eye-strain. Then, of course, there are letters written by investors that are not usually available on Kindle. So I read on Kindle any book that it is available on Kindle. Some books are not – then you have to buy the physical ones. About 5% of what you are! [laughs] Do you notice a difference in what you retain when you’re reading on the Kindle, or your takeaways from the book, in terms of how your brain is storing or organising? There have been a lot of studies that say that reading on a screen and reading a physical book impacts your memory in different ways and how you make connections and associations. Sure, that’s true. But I think there’s a trade off here: you might retain more when you read a physical book, and a bit less on the Kindle, but that’s offset by the fact that you are creating a document in the cloud which contains the best things you have read in a book, the ones which influenced you the most; because you have underlined them, and sometimes the underlined portions of a book span many pages. And all of that gets synced to the cloud, and when you work on that particular passage again in the context of something that you’re trying to evaluate, then all of that comes back. So in a sense I think there is a trade off here: while reading in a physical book you get to underline physically, and you may have a moment of reflection and write things on the side, you can do that on a Kindle as well. So net-net, I don’t feel the loss of memory, compared to using a physical book. So what’s your process for reading? You purchase a Kindle book, you get it to your Kindle… take me through how you read, in terms of are you reading one book at a time; are you reading multiple; do you put it aside at the end and then go back to it; or do you immediately take your notes out? Well, I don’t like to read one book— maybe I will read 3 or 4 books at any given point of time, and when I finish them I’ll pick up another 2 or 3 books to read. One reason is you get kind of bored reading the same thing, the same subject. And based on what Charlie [Munger] says, you should have a multidisciplinary mind-set. So it’s good to have different books from different disciplines and read them. And then one of the amazing things that I discovered is that you then associate one thought with another one. And that really is helpful to me. So far as note-taking is concerned: I underline stuff on the fly, as I read it. And once the book is over, I go back on the cloud and take out what I had underlined in that particular book, whatever notes I had, whatever annotations are there. I put them in a different document, and then I let that be. Because I have already studied the underlined text a second time, in a sense, I have done a second reading of the things that I like the most in that particular book. And then I let that be, to reside in my memory for some time. And then when I experience the world out there and there is a moment when I remember that there is something that relates to something that I read somewhere, then I can always go back to the document and be able to pull out whatever is useful. So you have a different document for each book? Not always. But I have a master document because once you have it in the cloud, you can always copy and paste any annotations, any underlined text for that particular book, in a different document. I do that for some books, though not all of them. That’s a really good way to do it. Do you use Evernote or anything? I do, I use Evernote; that’s been helpful to me. I use other tools like The Brain, which is a wonderful piece of software available. It kind of replicates what a human brain does. It helps you create thoughts, and it helps you connect different kinds of thoughts. And you can put your emails in it, and you can put your sound files in it, any kind of document in it, and then you can look at any particular topic from the perspective of a thought. So you have all these thoughts which are connected – and this is exactly how the human brain works. New associations are created. So when you’re looking at The Brain screen, and your actual brain is thinking about those associations, new associations get created. So in that sense, it’s an external brain that is working for you, and the size of which keeps on growing – it’s virtually infinite; you can keep on adding stuff to it. I have been thinking about getting a Kindle for a while now, and also received some great feedback via Twitter on the subject. So, yesterday I ordered my first Kindle, and I hope to get it by next week so I can start trying out whether reading on a Kindle is of any value . Feel free to share your own experience from reading on a Kindle versus reading physical books, note-taking etc in the comment section below. 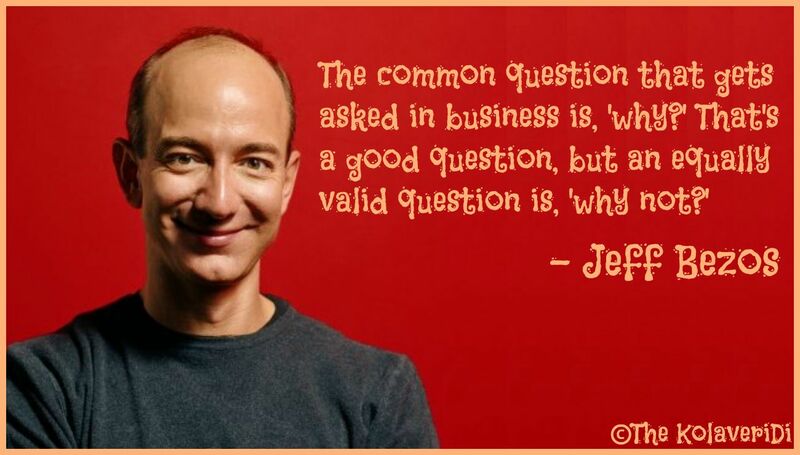 This post is a continuation of Business Insider: Amazon CEO Jeff Bezos Interview (Part I). Transcription and emphasis added are my own. You’ll find the video itself at the end of this post. Henry Blodget, Business Insider: Hachette. You just had a very public famously fight with Hachette. A couple of questions. One over the price which you were allowed to sell their books I believe. First of all, were you surprised about the animosity that was directed at Amazon? Jeff Bezos, Amazon CEO: Well. You know, my view is in this incident, and actually in our entire history, I think we have been treated extraordinarily well by the press, by the media, you know certainly by customers. So I have no complaints, you know. I think we have been treated way above average over time and I’m grateful for that. So you know, retailers negotiating and fighting with suppliers is not a new phenomenon. Rarely does it break through into kind of a public fight and mostly it’s not. But, it’s an essential job of any retailer to negotiate hard on behalf of customers, and that’s what we do. HB: So, if there was no negotiation and you could dictate to everybody exactly what the terms were gonna be, what would the future be for authors? JB: So, the most important thing when you’re thinking about books. The most important thing is constantly encouraging the kind of incumbent, you know, participants in the book industry to think this way. The most important thing to observe is that you have to draw the box big. Books just don’t compete against books. Books compete against people reading blogs and news articles and playing video games and watching TV and going to see movies. Books are the competitive set for leisure time. You know it takes many hours to read a book. It’s a big commitment and if you narrow your field of view and only think of books competing against books you make really bad decisions. And what we really need to do is to help the culture of long-form reading. And you have to differentiate between short-form reading and long-form reading. If you want a healthy culture of reading book linked things you’ve gotta make books more accessible, and part of that is making them less expensive. Books in my view are too expensive. You know, 30 dollars for a book is too expensive. And so, if you just think that I’m only competing against other 30 dollar books, then you don’t get there. But if you realize you’re really competing against Candy Crush, then you start to say; gush maybe we should really try to be working on reducing friction on long-form reading. And that’s what Kindle has been about from the very beginning. You know, we humans co-evolve with our tools. We change our tools, then our tools change us. And the Internet era, almost all of the tools for reading have been reducing the friction of short-form reading. The Internet is perfect for delivering you know three paragraphs to your smart phone. But the Kindle has been trying to reduce friction for reading a whole book, and it’s working. The visions for Kindle is every book in print in any language all available in sixty seconds. And that’s a multi-decade vision. We’ve been working on it for a decade now and we’ve made huge progress. And so we’re making books easier to get, more affordable, more accessible. It’s a fantastic mission. Kindle team is very dedicated to it, and they’re doing a great job. And that is, you are getting more reading. Friction, if you wanna do more of something, make the friction less. If you wanna do less of something, make the friction more. There’s a particular snack food that you like a lot, and it’s making you fat. Put it on the top shelf where it’s harder to get to, and you’ll eat less of it. And so you know, don’t leave it on your kitchen counter. JB: No… but the facts are wrong. 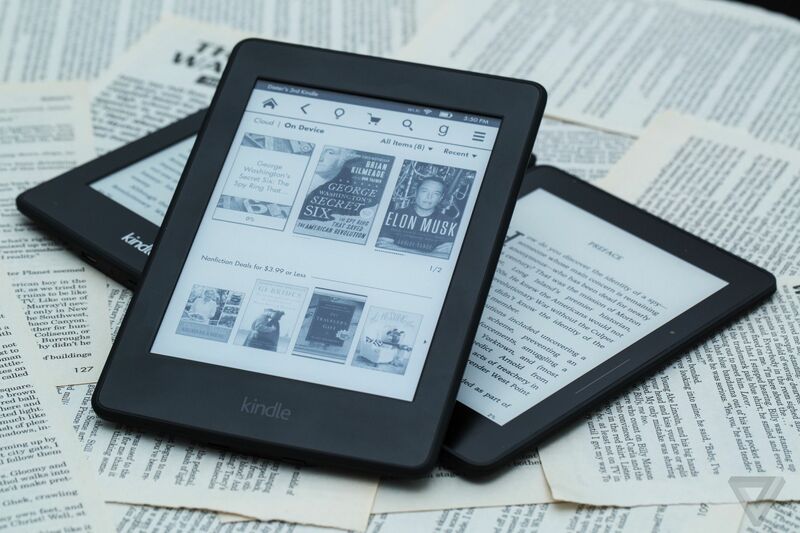 Publishers are having unparalleled profitability and the book industry is in better shape than it’s ever been, and it’s due to e-books. If you think about how much, the Kindle team deserves a lot of credit for that because they were early, it’s been a little of piracy, and e-books like all other kinds of media, they have a there is a thriving payment mechanism, and then again because they got in early. This is a good news story for publishers and for authors. Some of this is just, it’s very difficult for incumbents who have a very sweet thing to accept change. It’s just very difficult, you know. It’s almost always incorrect to blame the past, and it’s easy to do. We all have these kind of sort fake memories of how great things used to be. Yeah right, before penicillin things were awesome. And mostly things are getting better, undoubtedly there are exceptions. But mostly things have gotten better. We live in a world where, I hope, things continue to get better. And surely, making reading more affordable is not going to make authors less money. Making reading more affordable is going to make authors more money. Below, a few book tips taken from the appendix Jeff’s Reading List as published in The Everything Store: Jeff Bezos and the Age of Amazon. Emphasis added by my. Also, book covers added by me and they’re not included in the book as referenced above. Books have nurtured Amazon since its creation and shaped its culture and strategy. Here are a dozen books widely read by executives and employees that are integral to understanding the company. The Remains of the Day, by Kazuo Ishiguro (1989). Jeff Bezos’s favorite novel, about a butler who wistfully recalls his career in service during wartime Great Britain. Bezos has said he learns more from novels than nonfiction. Sam Walton: Made in America, by Sam Walton with John Huey (1992). In his autobiography, Walmart’s founder expounds on the principles of discount retailing and discusses his core values of frugality and a bias for action—a willingness to try a lot of things and make many mistakes. 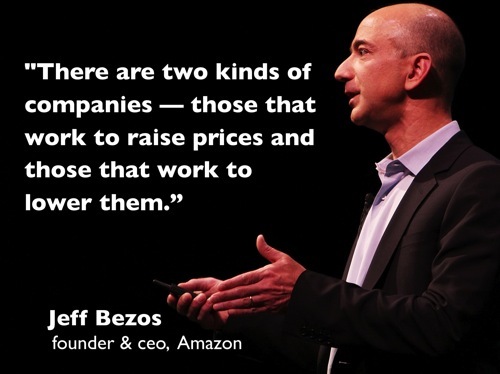 Bezos included both in Amazon’s corporate values. Memos from the Chairman, by Alan Greenberg (1996). A collection of memos to employees by the chairman of the now- defunct investment bank Bear Stearns. In his memos, Greenberg is constantly restating the bank’s core values, especially modesty and frugality. His repetition of wisdom from a fictional philosopher presages Amazon’s annual recycling of its original 1997 letter to shareholders. The Mythical Man-Month, by Frederick P. Brooks Jr. (1975). An influential computer scientist makes the counterintuitive argument that small groups of engineers are more effective than larger ones at handling complex software projects. The book lays out the theory behind Amazon’s two-pizza teams. Built to Last: Successful Habits of Visionary Companies, by Jim Collins and Jerry I. Porras (1994). The famous management book about why certain companies succeed over time. A core ideology guides these firms, and only those employees who embrace the central mission flourish; others are “expunged like a virus” from the companies. Good to Great: Why Some Companies Make the Leap… and Others Don’t, by Jim Collins (2001). Collins briefed Amazon executives on his seminal management book before its publication. Companies must confront the brutal facts of their business, find out what they are uniquely good at, and master their flywheel, in which each part of the business reinforces and accelerates the other parts. Creation: Life and How to Make It, by Steve Grand (2001). A video-game designer argues that intelligent systems can be created from the bottom up if one devises a set of primitive building blocks. The book was influential in the creation of Amazon Web Services, or AWS, the service that popularized the notion of the cloud. The Innovator’s Dilemma: The Revolutionary Book That Will Change the Way You Do Business, by Clayton M. Christensen (1997). An enormously influential business book whose principles Amazon acted on and that facilitated the creation of the Kindle and AWS. Some companies are reluctant to embrace disruptive technology because it might alienate customers and undermine their core businesses, but Christensen argues that ignoring potential disruption is even costlier. The Goal: A Process of Ongoing Improvement, by Eliyahu M. Goldratt and Jeff Cox (1984). An exposition of the science of manufacturing written in the guise of the novel, the book encourages companies to identify the biggest constraints in their operations and then structure their organizations to get the most out of those constraints. The Goal was a bible for Jeff Wilke and the team that fixed Amazon’s fulfillment network. Lean Thinking: Banish Waste and Create Wealth in Your Corporation, by James P. Womack and Daniel T. Jones (1996). The production philosophy pioneered by Toyota calls for a focus on those activities that create value for the customer and the systematic eradication of everything else. Data-Driven Marketing: The 15 Metrics Everyone in Marketing Should Know, by Mark Jeffery (2010). A guide to using data to measure everything from customer satisfaction to the effectiveness of marketing. Amazon employees must support all assertions with data, and if the data has a weakness, they must point it out or their colleagues will do it for them. The Black Swan: The Impact of the Highly Improbable, by Nassim Nicholas Taleb (2007). The scholar argues that people are wired to see patterns in chaos while remaining blind to unpredictable events, with massive consequences. Experimentation and empiricism trumps the easy and obvious narrative. There’s a great interview with Jeff Bezos on YouTube where Henry Blodget from Business Insider sits down for an in-depth interview on a variety of Amazon topics. I have transcribed some of these discussion points that I found to be interesting and that I enjoyed listening to. You’ll find the video itself at the end of this post. HB: So, let’s just establish this once and for all. Can Amazon make money? JB: Well, yes, and in fact we have in the past. And you have to understand, there are many ways of thinking about this, but the reality is that Amazon is a collection of several businesses and initiatives. And we have some very significant, very profitable, more established businesses that are free cash-flow generating. Very significantly. And fortunately, the way I think about it, we have lots of opportunities to invest in this new initiatives, and we take advantage of those opportunities. So, it’s kind of like we built this lemonade stand, you know, twenty years ago. The lemonade stand has become very profitable over time. But we also decided to use our skills and the assets that we’ve acquired over time to open up a hamburger stand, and a hot dog stand, and so on and so on. So we’re investing in new initiatives. HB: And this is certainly what your investors who’ve have been with you for a long time prudently believe, and you ask them why. Why doesn’t it bother you the way it bothers some people, that the company is not profitable and it has an infinite P/E and that stuff? JB: Look, you know. Warren Buffett has this great quote, he says: “You can hold a rock concert, and that’s okay. And you can hold a ballet, and that’s okay. Just don’t hold a rock concert and advertise it as ballet.” Investors come in all shapes and sizes. They have different investment horizons, different approaches, different beliefs about what the right kind of portfolio looks like. And, so it’s not when you know people use Wall Street as a shorthand. But there isn’t one type of investor, they come in different shapes and sizes. You have to be super clear about what kind of company you’re trying to build, what your approach is. We laid that out in our 1997 annual shareholder letter. We said we were going to take big bets. We said they were gonna fail. We said some of them hopefully were gonna work. We said we were gonna to invest for the long term, that we were gonna to take advantage of market opportunities as they arose. And there’s a certain kind of investor who is aligned with that approach. And so again, you could hold the ballet or the rock concert, and both can work. Just be clear about which one you are, and then people can self select. HB: And so, lot’s of CEO’s I’m sure would like to learn from you, how is it that I can not be at all profitable, and still have an incredibly high stock price by some measures. What is your advice? Is it, spend many years explaining we’re not gonna earn a penny because we’re gonna be reinvesting it? JB: I would say it’s very difficult for a publicly traded company to switch. So if you have been holding a rock concert, and then you wanna have a ballet. That transition is gonna be difficult. But if you’ve done it from the very beginning, and then I don’t think it’s not that difficult to do. HB: So, I’ve been a shareholder for a long long time. Incredibly happy. Rode it up in the bubble. Rode it all the way down. Hung out for those seven lean years, and then suddenly it takes off like a rocket ship. Very much a believer in the long term, the investment cycle, the big bets, and all that stuff. Even I last quarter had a little bit of a gaupe when I saw the fact that you were not just breaking even any more, but loosing a boat-load of money. And in fact way more than you even said you were gonna lose which I thought was sandbagging, they said they were gonna lose and then they would come in with a profit and the stock price is gonna sore. And it was worse than you said. So, when do you begin to say; okey, that’s it, we’re gonna rein in a little bit. JB: Look, we would all love our numbers to be smooth lines up into the light. That would be terrific, but that’s not how it works, you know. Those numbers are output measures. And you, I guess you could try to manage for the quarterly earnings very precisely. But, I think personally that would be a mistake. Most of the work that we put into any particular quarter happened years ago. So it’s not, you know, there aren’t that many knobs you could turn during a quarter. Or, I mean you can. But that’s like eating your seed corn if you turn those knobs. You don’t wanna do that. And so, it’s a… you know people, I think that if you focus on the inputs you can control of you business instead of your outputs, in the long term you get better results. So the Benjamin Graham quote here is that “In the short-term the market is a voting-machine. In the long-term it’s a weighing machine.” And I think people are well-advised to build a company that want’s to be weighed and not voted upon. That means having good returns on invested capital, having lots of free cash-flow. But if you said to me, if I said, here’s a job I would reject. If someone came to me and said Jeff; I want your job to be to drive up the Amazon stock price, and just manage that directly. That might sound ridiculously to some of you, but many companies actually do this. They actually go out and they try to sell the stock. That’s kind of the final output. It’s much better to say; let’s not do that, that’s not gonna be sustainable. It’s kind of a silly approach. What are the inputs to a higher stock price? So, okey free cash-flow and return on invested capital are inputs to a higher stock price. So okay, let’s keep working backwards. What are the inputs to free cash-flow? And you keep working backwards until you get to something that’s controllable. And a controllable input for free cash-flow would be something like lower cost structure. And you back up from there and you say, you know if we could improve our picking efficiency in our fulfillment centers and reduce defects. Defects are very very costly. You know reducing defects at the root is one of the best ways to lower cost structure. And so, that starts to be a job could accept. You would say, you know, a reasonable person would say I have no idea how to drive up the stock price, I cannot manage that directly, it’s not a controllable input. But I can make a picking algoritm more efficient and that would reduce cost structure and then you know follow that chain all along the way. That’s what you do in all of these businesses. You want customer obsession. You wanna invent your way out of boxes. Invent your way into the future. You wanna be patient, and you wanna have operational excellence. So that is you’re finding defects at the root and then you’re fixing them. JB: And we do a lot of things unusual there. So, you know. We don’t meet with our biggest investors. We meet with investors who have low portfolio turns. So, you know. Investors, many investors, many investment funds have very high portfolio turns. They turn their portfolio multiple times per year. They’re not really investors, they’re traders. It’s nothing wrong with that, it’s just a different thing. But where are you gonna spend your time and energy is one of the most important things in life. We all have a limited amount of time. Where you spend it, and how you spend it, is just an incredibly levered way to think about the world. So if you’re gonna spend time, you know, explaining the stock, the company really. We don’t really explain the stock, we explain the company, to people. You should do it to people who are long-term investors rather than traders. That’s our point of view. HB: And what do you say to employees when you obviously have some traders in the stock who are not happy, and suddenly the stock is down 25 % after a quarter. JB: Well, I… so, since 1997 at almost every all hands meeting, we have two o-hands meeting a year. And almost every all hands meeting I remind employees that if the stock is up 10 % this month, don’t feel 10 % smarter. Because when the stock is down 10 % some month you’re gonna have to feel 10 % dumber, and it’s not gonna feel as good. And so, you know ownership, we give most of our compensation, is done in terms of stock compensation. And part and parcel with ownership is a mentality of long-term thinking. You know, owners think longer-term than renters do. So I have a friend who rented his house to some tenants, and instead of getting a Christmas tree stand at Christmas, they just nailed the Christmas tree into the hard-wood floors of the house. No owner would ever do that, and, but sometimes, that’s a bad tenant. You know there are good tenants. But that’s a bad tenant. Because you know, it’s the same thing no one ever washed a rental car. And, you know you take better care of the things that you own, and… but one of the responsibilities of ownership, and definitely deep inside the Amazon culture, is to think about the fundamentals of the business and not the daily fluctuations in the stock price. There’s no information in that. HB: Is there a succession plan? HB: So there is somebody who will take over? Stanley Druckenmiller was interviewed by Andrew Ross Sorkin on DealBook. Among other things, they talked about IBM, Amazon and Netflix. The transcript below contains these parts. Andrew Ross Sorkin: Help us with this. Ginni Rometty was here earlier this morning and I quoted you about your view in particular about IBM and the buybacks. When you look at IBM now, she made an argument, may have been persuasive to some, may not have been to others, about the fact that a company like that needs time to shift. She made the argument that this is not a secular shift for her company, and by the way I wouldn’t even argue she made it as a cyclical shift, she just sort of suggested that they are in a transformation period. Do you buy that? Stanley Druckenmiller: No. I was looking at Amazon, and I was looking at IBM the other day. The last 19 quarters Amazon has missed their quarterly earnings nine times. They don’t give a damn. IBM has missed three quarters since 2006. They really care about their quarterly earnings. It’s an interesting transformation, ’cause I heard a little bit of your questions, and it’s not just the 14 quarters in a row of down sales. Their R&D has shrunk as a percentage of sales. They’re under major attack from Amazon, Palantir, all these companies out there eating away, and their R&D has shrunk in absolute terms, and as a percentage of their sales. Over the same time, I think it’s gone from like 6.2 to 5.9%, on shrinking base. Amazon on exploding sales is going from 5% to 10%. Now who’s investing for the transition? What kind of transition is that when you’re shrinking your R&D. They bought back 43 billion in stock at an average price of 189. They say they’re stored to capital and returning value to shareholders. I don’t know how you buy something at 189, and its 142. That’s not my kind of return to shareholders. But, so no, I don’t, I don’t believe in the transition. ARS: Is that a stock that makes sense to you? SD: Oh, yeah. I love Amazon. SD: Because they’re investing their future. Bezos is a serial monopolist. He’s come up with this AWS, ok, which is absolutely exploding. I don’t know how many people here are small businessmen and women. If you’re starting a business today, you don’t need a technical department, you don’t need a back-office. You can use AWS. By the way, it’s just ripping to shreds the 10 or 15 consultant you have from IBM on your firm, that you used to need because now you’re going into the cloud. And in retail they were 22% of U.S. sales growth this year of retail, one company. And he’s just sitting there with narrow margins and when he has enough share of market, whenever he wants he can get those margins up. ARS: But why are you convinced he’s gonna do that? He may never do that? And does it matter? SD: What do you mean why… ’cause he’s a businessman and I see its strategy and I think it’s genius. SD: Of course, of course he will. I’d probably be dead, but of course he will. ARS: By the way, in the similar vein, how do you feel about a company like Netflix? SD: That man went to boat, and he walks on water as far as I’m concerned. Same thing. You know, I only heard 30 seconds, I was in the gym. When he said; if you manage for quarterly earnings you’re dead, and then somebody on CNBC says, what’s easy for to say with a stock price like that. Why do you think he has a stock price like that? Because he’s thought about the long-term and not cared about quarterly earnings and all the short-termism the whole time.